Katie and Brianna: Heterosexual Life mates: Life is a highway....for my parents. I haven't been on a vacation with my mother and father since the summer before my junior year in high school. Which would make it four years ago. Right. Anyway, it didn't bother me much when we stopped the whole vacation ordeal. First of all, my parents and I tend not to agree on vacation itineraries (they're boring). Secondly, my whole summer used to be a vacation. My parents didn't make me work for more than a month (usually july) so I would have about a month free to roam around in my car and watch TV with my cousin Erin. That's honestly about all I did. When I moved away to New York, my parents decided they didn't need to take vacations anymore. It's too hard for me to pull away from work and other things that I have here, and they just don't feel like it, I guess. Well, they recently changed their minds. Basically, they did a whole bunch of stuff. Ridiculous stuff. When we used to go to the beach, they would sit around and read, and I would cry from boredom. 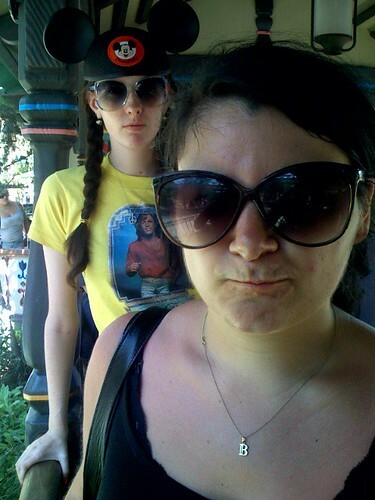 When we went to Disney World when I was 10, they didn't ride many rides with me. When we went to North Carolina, we looked at lighthouses. When we went to Vegas, they sat around in casinos leaving me to fend for myself in the casino video game rooms. And now they do exciting things. I can't wait until I'm a parent and I can do that to my kids. Parents have a special way of burning their kids without trying.